Never fear, it’s just a Freddy Smalls cocktail with tequila, pasillo chili, peche, lime, breakfast radish and agave. It’s no secret that I never really liked the cocktails at Freddy Smalls in West L.A. Overly fussy concoctions which tried too hard without really succeeding in tasting good. Thank goodness for the new bar guy. Johan Stein replaced Dave Fleisher back in February and has stripped down the drink list from a “what the hell is that” factor to a straightforward classic style. The cocktail list for sure reads cleaner and simpler than previous menu. No nonsense where the list of random ingredients are thrown together with no regard for taste. Too mean? Anyway, things are tasting better now. And the fact the cocktails have finally caught up with the food and beer, I may very well be Freddy Smalls’ next Foursquare mayor. Here are some of the cocktails off the new menu which will be changed up seasonally, along with some of my notes from the hosted tasting. The above Conejo cocktail was an instant favorite. Spicy but subtle. The lime doesn’t overpower it. I couldn’t really taste the peche but coulc smell a hint of it. So drinkable and lovely. 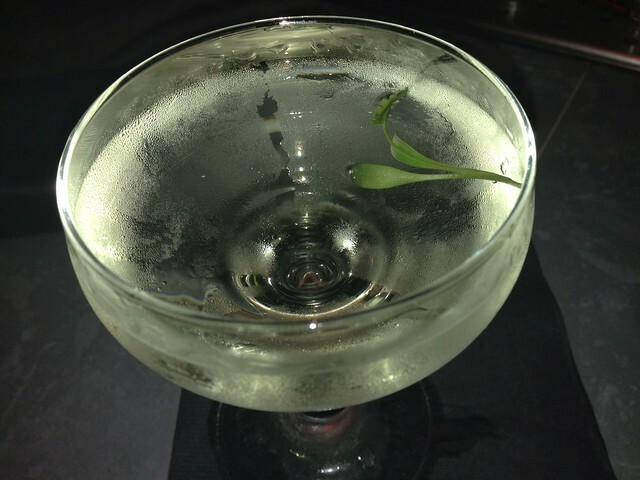 Cat & Mouse: Navy strength gin, white grenache, Cocchi Americano, cilantro. Such a weird drink. Definitely an acquired taste. It smells malty like genever. Finishes bitter and potent. Not for the teetotaler. 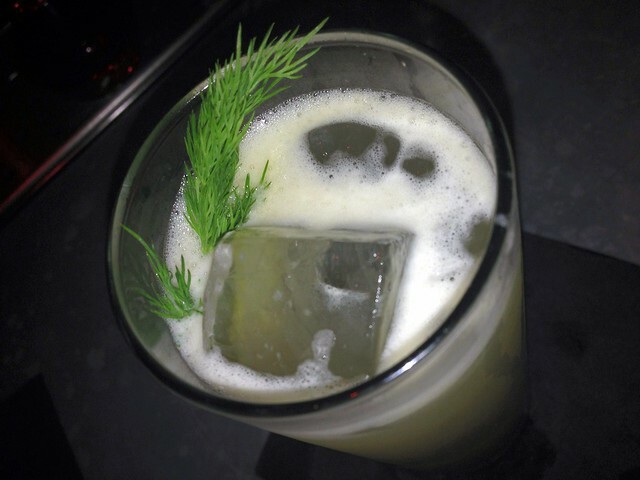 Bay Ridge: Norwegian vodka, ginger, lemon, champagne, dill. Fizzy, light, brightness from the ginger works with the champagne’s effervescence. Perfect day drinking cocktail. 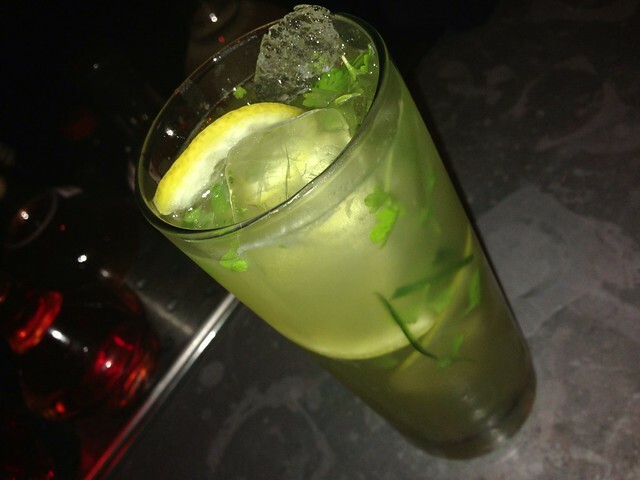 King’s Garden: Famous Grouse scotch, genever, lemon, cucumber, micro herbs, cane sugar. So surprising that despite its use of scotch and genever that none of the smokiness or maltiness come through. Instead it’s light and clean like spa water. 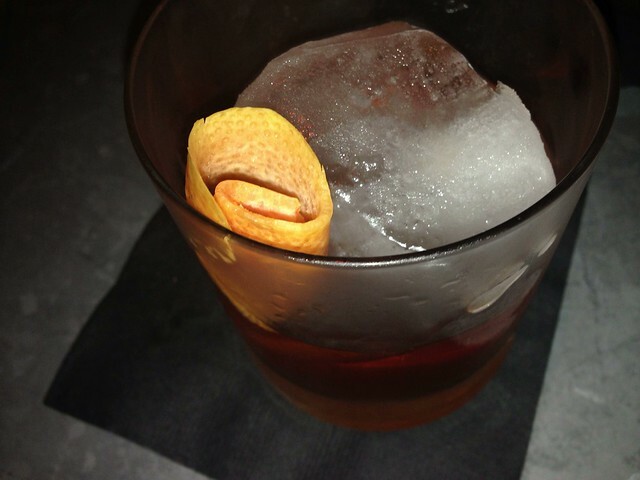 Porco Rosso: Cognac, Aperol, blanc vermouth, habanero, grapefruit essence. A baby Boulevardier, ligher than the classic and with heat and spice midpalate. Finishes a touch bitter. 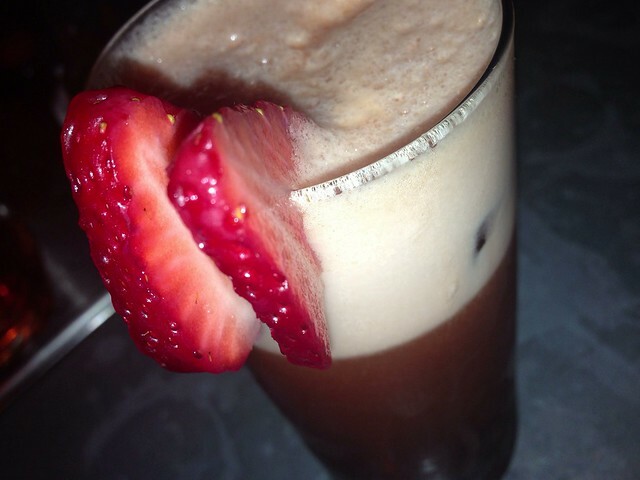 Corsita (aka “Choir Boy”): strawberry, Campari, orange juice, egg whites, prosecco. This off-menu cocktail is an Americano with all the frills. Really bitter from midpalate to finish. Would make a great aperitif. i love when bars near me have good vibes and good cocktails. cheers!